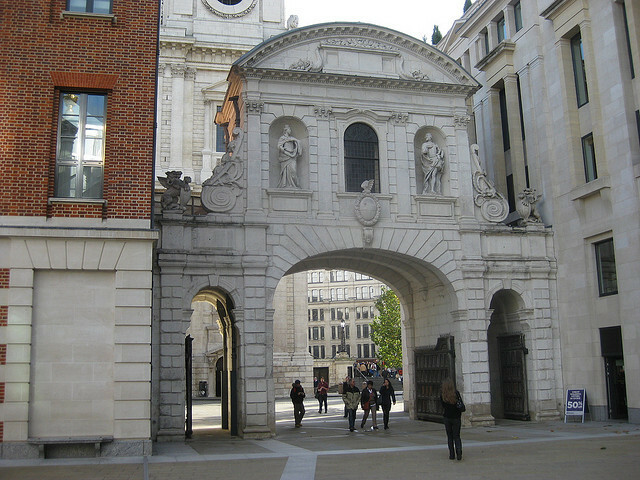 Temple Bar, the archway connecting St Paul's to Paternoster Square, is one of London's most itchy-footed buildings. It originally stood on Fleet Street, making the boundary between The City and Westminster. The Victorians dismantled it as a traffic bottleneck, and it was relocated to Theobalds Park in Hertfordshire. In 2003, it came back to the City, taking up its current location. Other than by using the outrageously priced toilets in the modern basement, Temple Bar is usually off-limits to visitors. But a tour to commemorate Sir Christopher Wren's 380th birthday includes access to the architect's peripatetic portal. Over a cup of tea, City of London Guide David Thompson will regale participants with tales from the gateway's past, before leading a one and a half hour tour of the St Paul's area. You'll then be treated to a period menu created by Bruce the head chef of nearby Paternoster Chop House, with dishes such as Chesterfield soup, mutton pie and potted cheese. The walk and lunch take place on Sunday 21 October, 11am (the day after Wren's birthday, as the restaurant is shut on Saturdays). It costs £10 for the tour (payable to the guide), with the period lunch starting at £25. To book, phone Paternoster Chop House on 020 7029 9400.